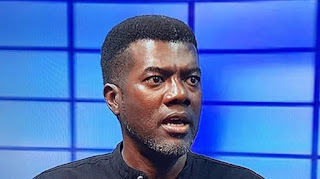 Reno Omokri, former aide to ex-President Goodluck Jonathan, says the current administration is “laden with corruption” to the extent that the blind and deaf can see and hear it. Omokri made the remark in a Facebook post on Friday, while reacting to a statement by Garba Shehu, senior special assistant to President Muhammadu Buhari on media and publicity. In a tweet on Thursday, Shehu had said the presidency rejects a claim recorded in Jonathan’s book — ‘My Transition Hours’ — that Nigeria is more corrupt now than when he left office in 2015. Omokri however said it was Transparency International that labeled Nigeria corrupt with its “corruption perception index”. “Even the blind can see the corruption of this administration and the deaf can hear it,” the post read. “The statement from the Presidency with regards to facts stated by Dr. Goodluck Jonathan In his book, My Transition Hours, is just evidence of a guilty conscience. As Shakespeare said “”The lady doth protest too much, methinks”. “Whereas under Jonathan and the PDP, Nigeria made her best ever improvement on Transparency International’s Corruption Perception Index, moving 8 places forward from 144 to 136 in 2014, but under President Buhari and the All Progressives Congress, Nigeria has made her worst ever retrogression, moving backwards 12 places from 136 to 148. This is a fact. “And other people have stated the obvious besides Transparency International, one of them being Ms. Priti Patel, immediate past U.K. Secretary of State for International Development, who this week described President Buhari’s anti corruption war as a sham and an impediment to Nigeria and urged foreign direct investors to shun Nigeria because of Buhari.